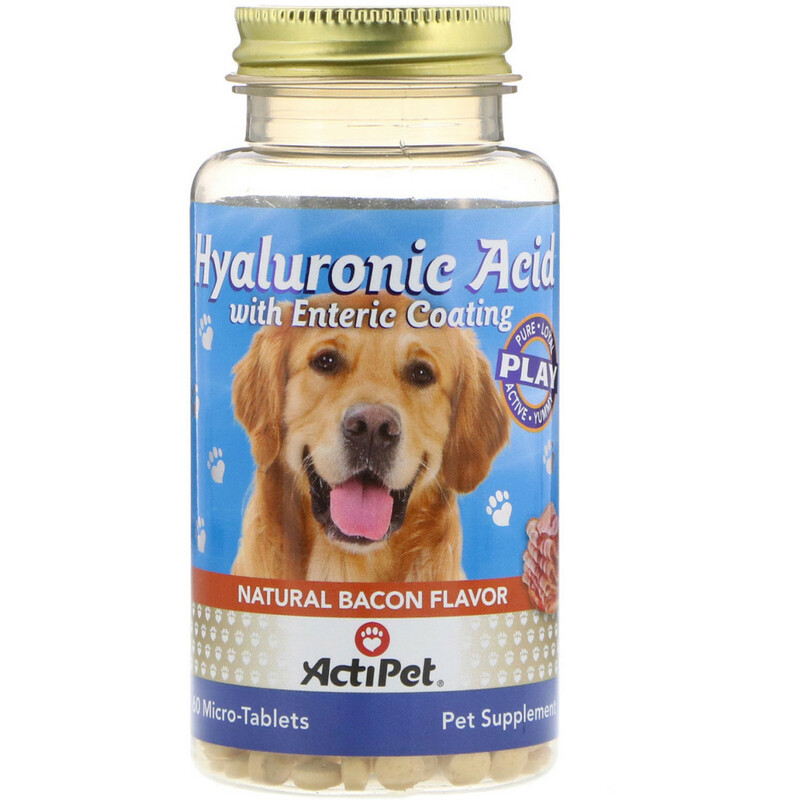 ActiPet Hyaluronic Acid micro-tablets are specially designed with enteric coating to help the tablet survive stomach acid and pass into the small intestine where it is best absorbed. The micro-tablets are formulated with Hyaluronic Acid and Vitamin C. Vitamin C helps with absorption. Do not get tablet wet as this will prematurely break down the enteric coating. Brewer's yeast, cellulose, magnesium stearate, natural bacon flavor with other natural flavors and silica. Safe use in pregnant animals intended for breeding has not been prove. If animal's condition worsens or does not improve, stop product administration and consult your veterinarian.